Top quality brood mare with an excellent performance pedigree. 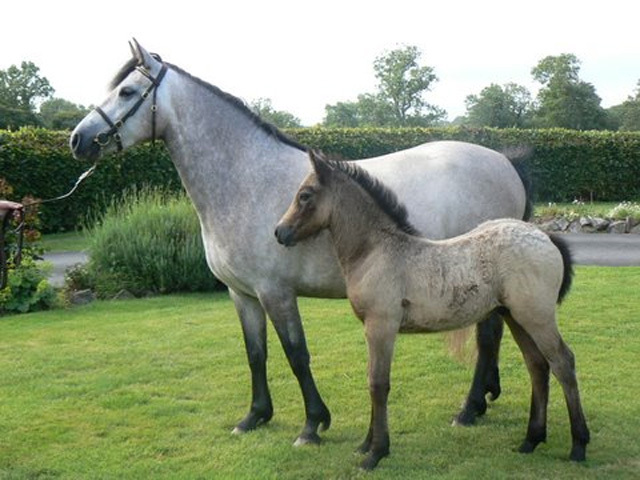 Lovely movement and easy to handle, box, wash etc… She has given birth to a quality dun foal in May 2007 to jumping stallion ‘Gwennic de Goriva’ a French imported Grade A Connemara. His picture is currently in our Registered Stallion section. Curra Blossom is now scanned in foal to Wings of Justice a grandson of Abbeyleix Fionn.